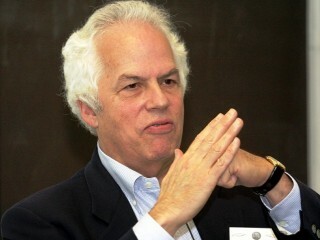 Stanley Ben Prusiner is an American neurologist and biochemist. Currently the director of the Institute for Neurodegenerative Diseases at University of California, San Francisco (UCSF). Prusiner discovered prions, a class of infectious self-reproducing pathogens primarily or solely composed of protein. He received the Albert Lasker Award for Basic Medical Research in 1994 and the Nobel Prize in Physiology or Medicine in 1997 for his prion research. View the full website biography of Stanley B. Prusiner.